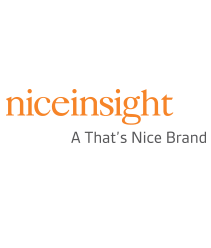 SEATTLE, Feb. 7, 2018 /PRNewswire-USNewswire/ — This week, the first commercially available freeze-free vaccine carrier will begin introductory field trials in Nepal. This follows the World Health Organization (WHO) announcement that the Indian-made carrier using PATH's "Freeze-Safe" reference design passed WHO Performance, Quality, and Safety (PQS) laboratory tests for User Independent Freeze Prevention, which prequalifies it for use in global immunization programs. This is the first low-cost carrier innovation available to address the widespread and long-standing problem of vaccines freezing in the cold chain during the "last mile" of outreach to infants and children. Currently in low- and middle-income countries, health workers carry millions of temperature-sensitive vaccines next to ice packs inside vaccine carriers to reduce heat exposure, but this risks freezing the vaccines if ice packs are not conditioned (carefully warmed to around 0°C). Freezing can irreversibly compromise vaccine potency, resulting in inadequate protection from disease for people receiving vaccines. When health workers suspect temperature damage, the vaccine or medication is often discarded—at great cost to health care programs. PATH's breakthrough solution mitigates the risk of vaccines being damaged by freezing or heat in carriers and eliminates the step of conditioning ice packs, reducing health worker burden. Frozen ice packs can be inserted immediately into the carrier thanks to a built-in barrier that shields the vaccines from reaching negative temperatures and excessive heat. Many of the newer vaccines that protect children and infants from life-threatening diseases and infections, such as for human papillomavirus, pneumonia, and rotavirus, are freeze sensitive and cost far more than other vaccines. In 2015, the United Nations Children's Fund (UNICEF) procured approximately US$1.7 billion worth of vaccines for immunization programs, of which more than $1.2 billion were freeze sensitive. "Our priority is maintaining vaccine potency for the millions of people living in remote communities," says Pat Lennon, who leads the cold chain team at PATH. "In the future, vaccine carriers that prevent freezing will become the new standard for immunization programs." In order to rapidly accelerate introduction of this innovation, PATH put the Freeze-Safe reference design into the public domain for any manufacturer to use in their vaccine carrier products. PATH staff in Seattle and New Delhi, India, have provided technical advice to three product manufacturers who have adopted the technology. India-based AOV International's product AFVC46 is the first carrier to receive WHO-PQS approval and will be available for purchase through the UNICEF Supply Division catalog. "The Freeze-Safe vaccine carrier is a great example of Indian industry helping solve a global public health challenge," says Neeraj Jain, Country Director of PATH's India country program. "This 'Made in India' freeze-preventive vaccine carrier can help health workers in India and globally to administer lifesaving vaccines that do not freeze and could help save millions of lives." PATH estimates that more than 2 million new and replacement carriers will be needed by 2020 for the 73 Gavi-member countries. To accelerate scale-up of the Freeze-Safe innovation, PATH is conducting field trials, supporting efforts to integrate the carriers into existing health systems, and working with manufacturers as well as adapting the innovation for use in other cold chain equipment. "Vaccine carriers that prevent vaccines from freezing while in transit and yet are low cost and easy to use can save millions of children's lives," says Dr. Benjamin Schreiber, Deputy Immunization at UNICEF. "These are exactly the type of cutting-edge solutions we need to immunize every child." The ‘last mile’ of vaccine delivery often involves overcoming significant geographic obstacles. 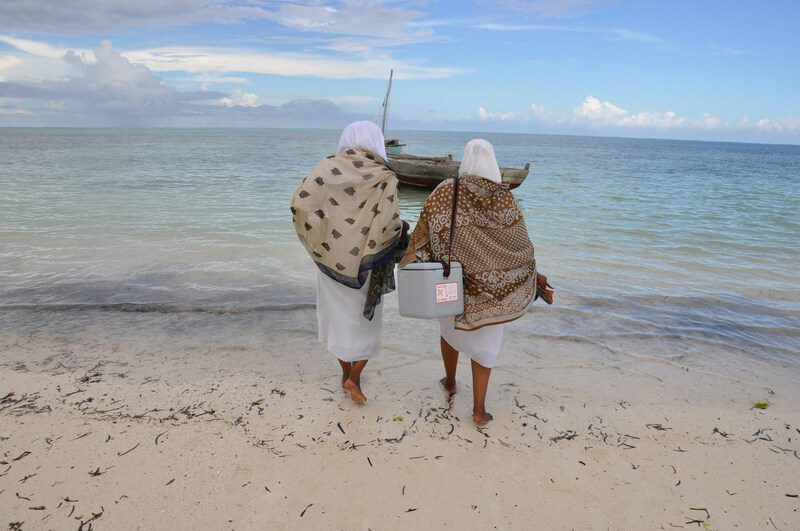 In this photo, two health workers are preparing to bring a traditional vaccine carrier onto a boat in order to travel between islands. The new freeze-preventive carrier helps ensure the right temperature in any setting. Photo credit: PATH/Doune Porter. PATH has worked to advance technologies, policies, and programs to address vaccine freezing issues across the supply chain from formulation to the last mile since 1996, and on the Freeze-Safe innovation since 2012. This work aligns with UNICEF; Gavi, the Vaccine Alliance; and WHO strategies to maintain vaccine potency and improve immunization cost efficiencies and coverage. This project was made possible with support from the Bill & Melinda Gates Foundation. PATH is a leader in global health innovation. An international nonprofit organization, PATH saves lives and improves health, especially among women and children. PATH accelerates innovation across five platforms—vaccines, drugs, diagnostics, devices, and system and service innovations—that harness our entrepreneurial insight, scientific and public health expertise, and passion for health equity. By mobilizing partners around the world, PATH takes innovation to scale, working alongside countries primarily in Africa and Asia to tackle their greatest health needs. With these key partners, PATH delivers measurable results that disrupt the cycle of poor health.